The scorching sun was rising above the valley of the Nile. The hot wind was blowing from the side of the desert. The pharaoh himself as the incarnation of God on Earth stood in front of his people. Gold necklaces, rings, bracelets were blinding by their radiance and inlays of colored stones and faience gave Son of Sun solemnity and mystique. Namely so, the rulers of ancient Egypt called themselves – the sons of the Sun. 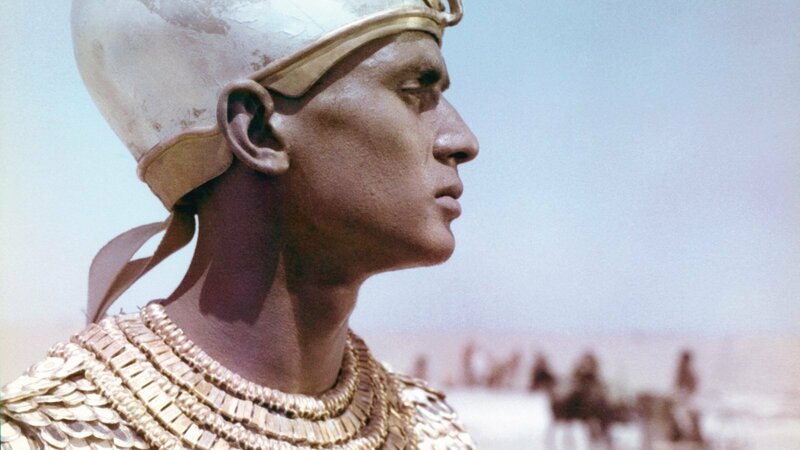 I think that products of Egyptian jewelers inspire and impress not only me. Their small sculpting compositions, their colors, contrast are strong, effective and at the same times they are full of style, taste and mysticism. Earrings. Around 1334 – 1328 BC. e. Gold, quartz, calcite, earthenware, glass. Egyptian Museum. Cairo. These were not just the decorations or parts of the costume, these amulets were designed to protect their owner. And, of course, they were symbols of power, unlimited influence, almost divine embodiment. Therefore, the things were complicated in expressional aspect. They represented some sacral signs. The most popular images were beetles-scarabs, Eye of Horus, Ankh symbol of eternity, the god Horus as a falcon and many others.Usually, jewelry work of Ancient Egypt was a narrative of the events associated with the deities or symbols. This story was intended to scare away any evil spirits, or be a reminder for a wearer. That is the task of a master consisted of several aspects, not only To create a decoration, but also a composition comprising a sacred meaning. The pectoral in the form of a scarab from the tomb of Tutankhamun. Egyptian Museum. Cairo. 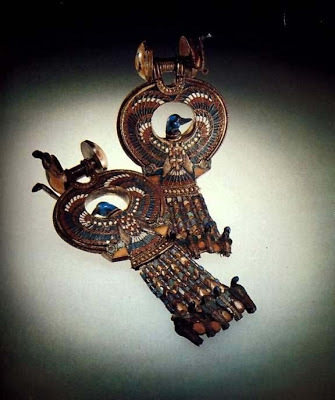 Because of the climate, the Egyptians costume was simple, but its main dominant was jewelry. The combination of gold with dark blue lapis lazuli and saturated blue turquoise diluted orange hues of carnelian is as a combination of sky and sun. Therefore, people persived them as a display of solemnity and joy. 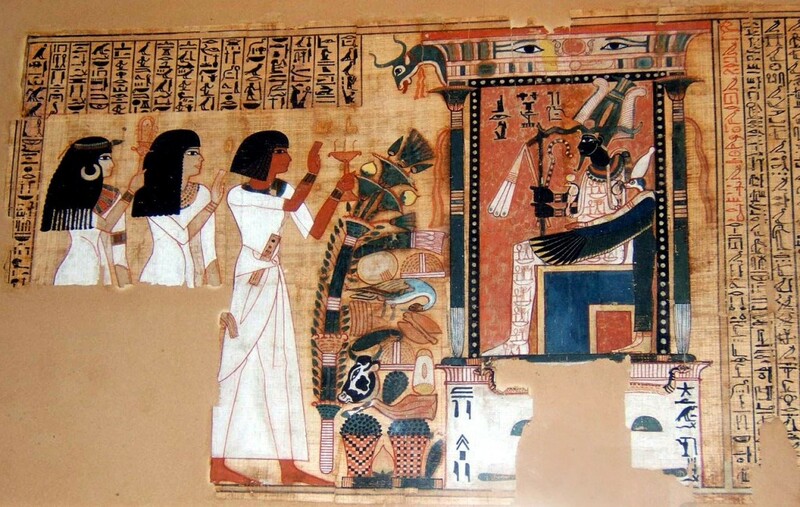 The image from the «Book of the Dead». The Louvre. Paris. The task of the ancient goldsmith was complicated. He had to combine in one product deep sacral meaning with sophisticated adornments and create a composition that would have told us about the things ( what for it is, from which things protects and what is the subtext). Ancient jeweler should be a sculptor, carver and of course, as a painter, he was to use all his wealth palette- glitter of gold, the brightness and contrast of colored stones, inserts. His work was intended to continue its live for centuries and give immortality to the wearer. At least , the ancient masters managed the first task accurately. 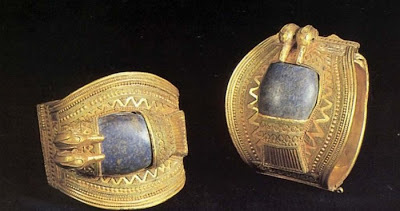 Bracelets of Ramesses II. Around 1290 BC. 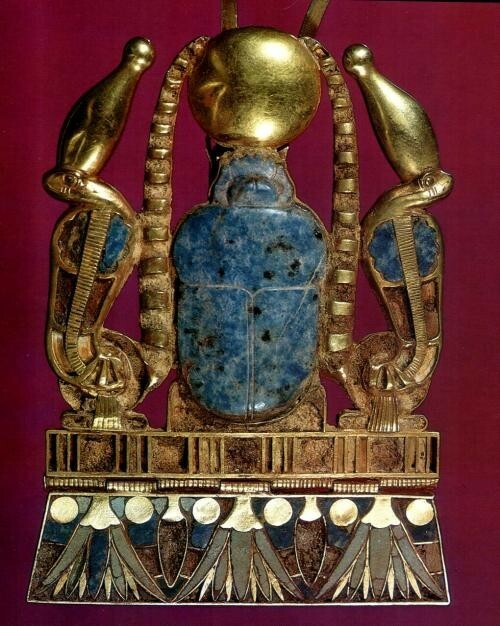 e. Gold, lapis lazuli. The width of 6 cm; max. diameter of 7.2 cm. The Egyptian Museum, Cairo. E. Kilchevskaya. Jewelled Arts of Ancient Egypt. Piotrovsky, M.B. Landa, I.A. Lapis. 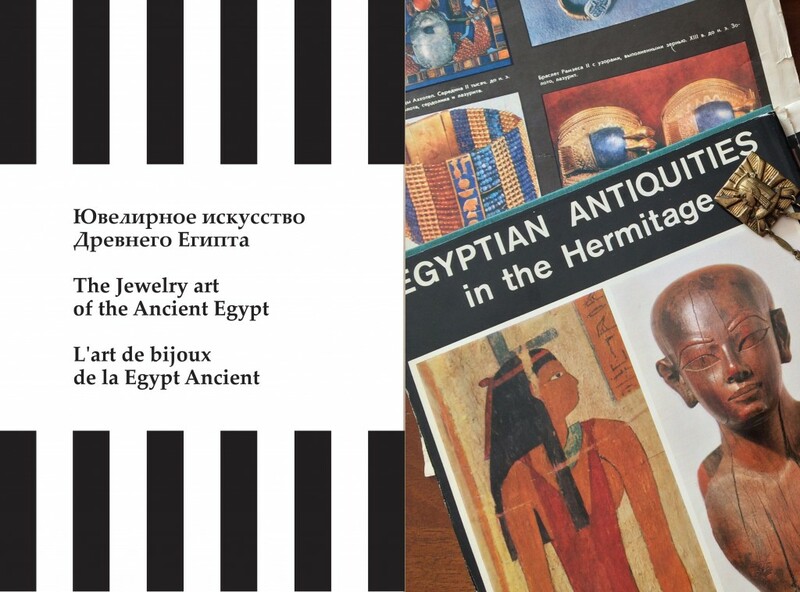 Egyptian antiquies in the Hermitage.